If you answered “yes” to any or all of these questions, The Upper Room Disciplines may be the perfect devotional tool for you! Scripture-Centered with a Deeper Focus: The Upper Room Disciplines provides an opportunity to look more deeply at scripture by offering a week of meditations by a single author on a particular theme. Each weekly theme focuses on specific scripture texts, which provides a rhythm with a cadence based on the yearly flow of holy seasons and ordinary time. Each week also includes a scripture overview and reflection questions based on the week’s meditations. Diverse Perspectives: An award-winning devotional guide,Disciplines brings together 53 diverse voices to share messages of hope, challenge, and joy. 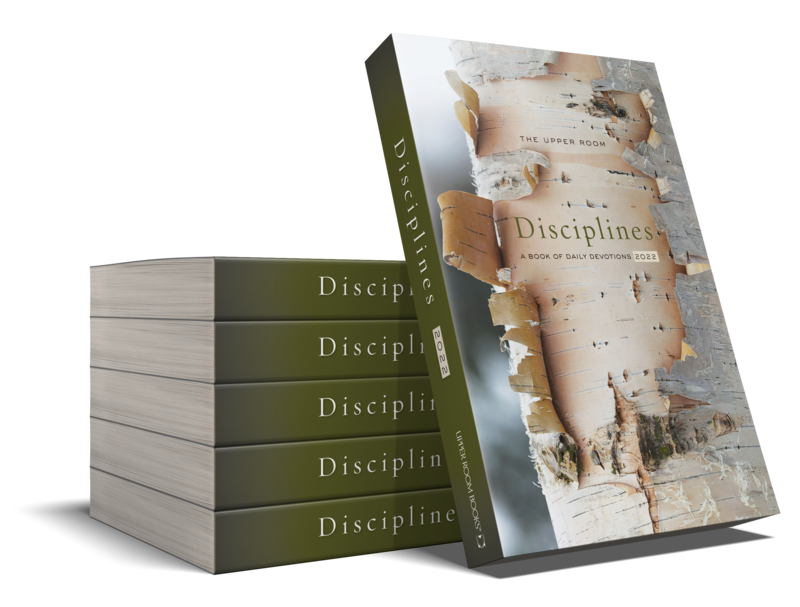 Disciplines authors represent clergy and lay people from a variety of Christian denominations who seek to help readers engage the scripture for daily spiritual practice and in preparation for Sunday worship. Revised Common Lectionary: Following the Revised Common Lectionary, each daily reading offers a scripture passage, a meditation on the day’s reading, and a closing prayer or suggestion for reflection.